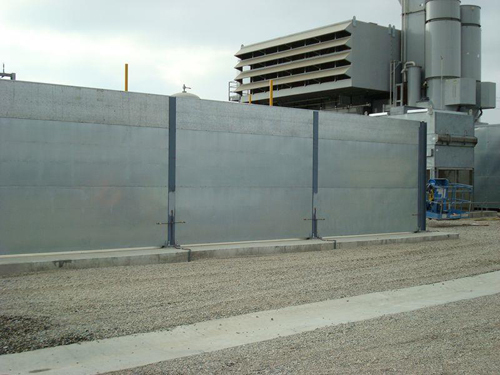 Providing both high transmission loss and sound absorption properties, SonoCon sound barriers reduce community noise and shelter personnel from annoying or potentially dangerous noise levels. 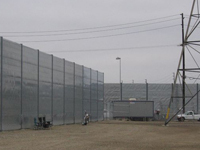 Engineered to withstand most adverse exterior weather conditions, the walls are engineered to basic wind speeds of 95 MPH, are resistant to UV and are provided with a proprietary water shedding acoustically permeable membrane protecting the non-hygroscopic acoustical core. 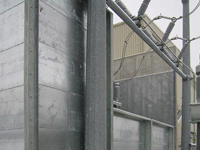 The SonoCon acoustical panels are constructed of G90 galvanized steel as standard. Options include stainless steel and thermal setting powder coat finishes. 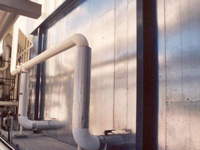 Structural steel is generally provided with standard shop prime paint but can be supplied with a galvanized finish or of stainless steel. 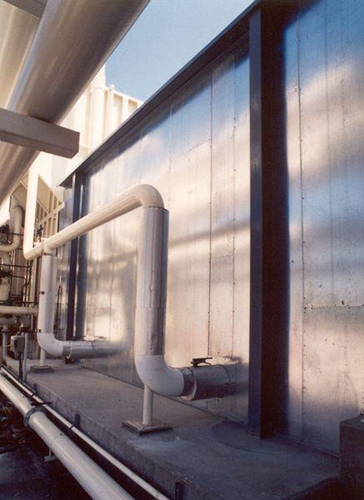 Transmission Loss (TL) of the acoustical panel assemblies are determined by the dual reverberation room method by an independent acoustical laboratory in accordance with ASTM Specification E-90. 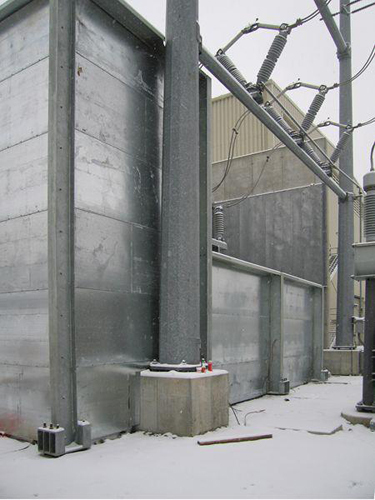 Sound absorption coefficients of the composite panel assembly are determined as tested by an independent acoustical testing laboratory in accordance with the requirements of ANSI/ASTM C423 and E-795. 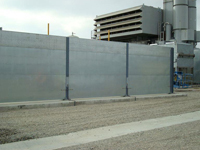 SonoCon Soundwalls are engineered and erected in accordance with the structural requirements of the of national building codes such as the Uniform Building Code as required by the local building departments.